TATTOO’D AMERICA OPENS THIS WEEK AT POP VEGAS: Pop Vegas at The LINQ Promenade will open Thursday, April 18 with its first interactive experience Tattoo’d America celebrating the artistic, provocative and expressive qualities of tattoo and body art. Tattoo’d America’s immersive experiences encompass 12 interactive installations called “rooms.” Some experiences will include an Ink Pool Party—a tattoo-themed ball pit for grown-ups; 45 tattooed clones showcasing the diversity and artistry of tattoo and body painting; live 3-D full-body projection mapping projecting tattoo designs on guests; a confetti-and-pillow-fight darkroom; a Sailor Jerry Spiced Rum exhibit; and “My Tattoo, My Story,” an installation powered by people’s own personal stories. Available onsite services will include a live tattoo parlor, a semi-permanent ink tattoos studio from inkbox™, live body painting by professional body artists, henna tattoos and body marbling. Inked individuals who would like a chance to have their tattoos featured in Tattoo’d America’s “My Tattoo, My Story” exhibit should post photos to Instagram tagging @tattoodamerica and use the hashtag #tattoodamerica. Winners will be chosen each week. Daily hours are until midnight with opening time 11:30 Monday-Wednesday, and 11 a.m. Thursday–Sunday. 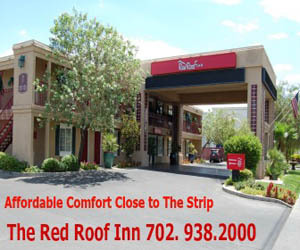 General admission is $27; $18 for Nevada residents; $49 starting price for weekend wine and cocktail tasting packages; $100 Romantic package with two temporary tattoos, cocktail tasting on weekends or aphrodisiac drinks on weekdays; and Bachelorette package (price based on party size), including temporary tattoos for the party, cocktail tasting, henna or tattoo workshop. CRAFT + COMMUNITY IS NOW OPEN AT HARD ROCK: Craft + Community inside Hard Rock Hotel & Casino took over the space formally occupied by Culinary Dropout. The new restaurant is operated by The Morton Group and features a relaxed atmosphere serving comfort foods and curated drink menu. The restaurant with garage-style doors opening directly onto the 3,000-square-foot pool patio is located on the casino floor with more than 6,000-square-feet inside and seating for more than 320 guests. The menu offers such items as avocado toast, beer-battered fish-n-chips, and the C+C burger. Live music will also be featured. Craft + Community opens at 11 a.m. on weekdays and 10 a.m. on weekends remaining open until 11 p.m. and midnight on Saturday and Sunday. Brunch is served Saturday and Sunday 10 a.m.–3 p.m. and happy hour runs Monday–Friday 3–6 p.m.
TWO NEW SHOWS AT ALEXIS PARK: Rainmaker Productions has opened two new weekly 7 p.m. shows at Alexis Park near the Strip in the intimate Pegasus Showroom. Both highly recommended productions feature amazing local celebrity talent with great credentials. Tickets for both shows are available on Rainmaker Productions’ website. Tickets are $49.95 general admission / $59.95 premium. On Friday nights, it’s “The First Ladies of Las Vegas Entertainment” with co-headliners Elisa Fiorillo and Kelly Clinton and an added plus comedian-musician Dennis Blair. There are many costume changes with the two ladies singing together and solo. 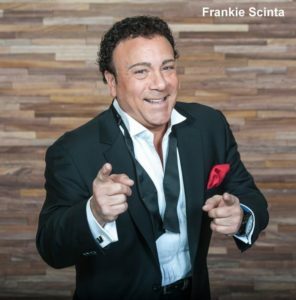 Saturday nights are “Frankie Scinta – One on One” with a deeply personal show revealing his colorful show biz life, which began in Buffalo with his brother Joey, fabulous comedic timing, amazing skills as a musician on multiple instruments, and singing. No two shows will be the same. 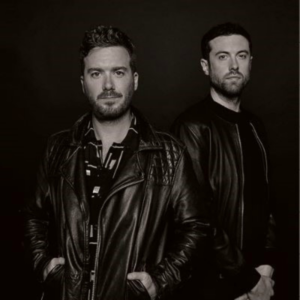 PALMS ANNOUNCES EXCLUSIVE RESIDENCY BY GORGON CITY: The Palms newly debuted dayclub and nightclub KAOS will host an exclusive residency by DJ and production duo, Gorgon City. Upcoming residency dates are April 21, July 14, and Aug. 16. Gorgon City has had stellar success the past five years with their blend of bass-driven house music and addictive vocals. The UK duo featuring Kye Gibbon and Matt Robson-Scott have developed an international presence, garnering more than 680 million combined streams to date. CHANGES WITH THE COLOSSEUM AT CAESARS PALACE: With Celine Dion, the venue’s original marquee artist, departing The Colosseum at Caesars Palace this year, and the company taking over management of the facility from longtime operator AEG and bringing in Live Nation, the 4,300-seat showroom will get an ambitious overhaul this summer. Changes will include refurbishing audio, lighting and video to state-of-the-art capability. The revamp centerpiece will be an automated lift seating system, which will allow for reconfigurations, notably a general-admission, standing-room pit capable of boosting the venue’s capacity. EL CORTEZ DEBUTS GREAT 8 TABLE GAME: Last Friday, the El Cortez downtown introduced an all-new table game, Great 8, developed in part by former El Cortez dealer, Richar Fitoussi. The game is played by wagering on either the Yin (red) or Yang (yellow) sides. Once the wagers are placed, the dealer deals cards on both the Yin and Yang sides – whichever side gets closest to eight wins. Two bonus pay tables offer exciting payouts with some hand combinations allowing both bonus bets to win. Additionally, if an eight is the first card drawn on the player’s side, the player automatically wins. 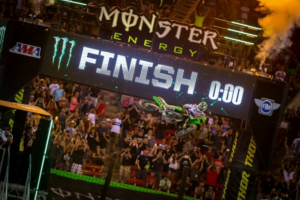 SAM BOYD STADIUM HOSTS MONSTER ENERGY SUPERCROSS FINALS: The 17-race, adrenaline-fueled Monster Energy AMA Supercross, an FIM World Championship, will bring the most competitive and highest-profile motorcycle racing championship season to an end at Sam Boyd Stadium on Saturday, May 4 with racing starting at 7 p.m. Tickets start at $20. This year’s FanFest experience will have a festival-like atmosphere spanning 14 acres and open at noon. FanFest has experiential activations, autograph sessions, a Supercross Virtual Reality experience and more until 6 p.m. FanFest passes are $10. 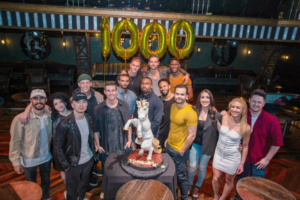 ‘MAGIC MIKE LIVE’ CELEBRATES TWO YEARS AND 1,000 PERFORMANCES: Last week, the cast and crew of “Magic Mike Live” celebrated two years and 1,000 performances at the Hard Rock. At the end of the 10 p.m. show, the emcee told the audience it was the 1,000th show and invited them to stay and celebrate with champagne. After the show, the cast, crew, and creative team returned to the theater and partied with more champagne and a custom unicorn cake created by Freed’s Bakery. 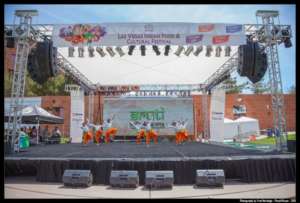 OUTDOOR FESTIVAL HIGHLIGHTS VIBRANT INDIAN CULTURE: The 16th annual family-friendly Las Vegas Indian Food & Cultural Festival, presented by Clark County Parks & Recreation, will take place Saturday, May 4 at the Clark County Amphitheater from 11 a.m.–9:30 p.m. This food and cultural gathering highlights an authentic Indian experience with food from local Indian establishments, music from famed Punjabi singer Kay V Singh, authentic clothing and jewelry vendors and more. There will be an array of traditional dance competitions, folk singers, fashion shows and kids’ entertainment. Festival admission is $7 and free for children under 12. LAS VEGAS PRIDE WEEKEND SET FOR OCT. 11-12: The Downtown Las Vegas Events Center will serve as the official host for the Las Vegas PRIDE Night Parade on Oct. 11 and Las Vegas PRIDE Family Festival on Oct. 12. The outdoor venue will serve as the entertainment hub for the weekend’s events, which will include live performances, food and beverage options, merchandise vendors, a pet parade, and special appearances by surprise guests. Tickets start at $15 for a weekend pass and go on sale April 22. Tickets at the door will start at $20 per day. THE JOINT AT HARD ROCK CELEBRATES 10th ANNIVERSARY: The Joint at Hard Rock will celebrate its 10th anniversary on April 17. In its history, the bands which played there the most included Santana, Rascal Flatts, Mötley Crüe, Guns N’ Roses, and Def Leppard. Originally, The Joint opened in 1995 and underwent a makeover in April of 2009. The renovation doubled the size of the showroom to a 4,699-person capacity venue. The Joint was a leader in Las Vegas’ residency trend with Carlos Santana’s “Supernatural Santana: A Trip through the Hits” in 2009 and a total of 14 residencies. The venue has proven to be extremely versatile hosting combat fights, comedy shows and award shows. The 2019 entertainment slate will include: comedian Jeff Dunham April 26; rapper Juice WRLD May 3; Hollywood Vampires featuring Alice Cooper, Johnny Depp and Joe Perry May 10; Grammy-nominated Snow Patrol May 18; RBRM Bobby Brown + Bell Big Devoe June 15; American rockers Coheads and Cambria June 28); legendary Judas Priest June 29; and the 6th Annual Big Blues Bender four-day event, Sept. 5-8. Slightly Stoopid will bring their annual 420 party to The Joint April 20 at 8 p.m. with Common Kings (Hawaii) and Fortunate Youth (Los Angeles) opening the show. Tickets start at $47. 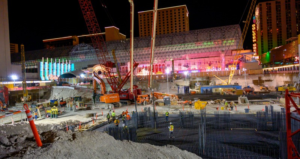 CIRCA CELEBRATES FIRST MAJOR CONSTRUCTION MILESTONE: Derek Stevens, CEO and Downtown Las Vegas developer, celebrated a major construction milestone for his new Circa Resort & Casino, which is the first ground-up gaming resort in the area since 1980. A convoy of 205 concrete trucks delivered more than 2,050 cubic yards of concrete to set the foundation for the casino-resort slated to open in December 2020. The 1.25-million-square-foot 777-room property will be defined by a bold design, accented by a backlit roofline. The property will have an expansive casino, multi-level pool amphitheater, spa, and a variety of immersive culinary, entertainment and gaming experiences including the largest sportsbook in the country. ETHEL M CHOCOLATES® PRESENTS SPRING SPECTACULAR EVENT: Ethel M Chocolates will present The Spring Spectacular at its Factory Store and Cactus Garden April 20-21 from 1-5 p.m. Family festivities include the Easter Bunny, photos for $10, a petting zoo, balloon artist, face painting, bounce house and food truck. Dark chocolate peanut butter eggs and premium milk chocolate strawberry eggs will be available for sale. Wayne Newton has had to cancel at least two weeks of shows at Cleopatra’s Barge at Caesars Palace in order to undergo back surgery. American musician, singer, and songwriter John Fogerty has returned to the Encore Theater at Wynn with a new concert called “My 50 Year Trip” celebrating his iconic Woodstock performance as lead singer with Creedence Clearwater Revival where he followed the Grateful Dead. Fogerty has 8 p.m. shows on April 17, 19 and 20. El Dorado Cantina, a 24-hour Mexican restaurant and bar close to the Strip, is celebrating the arrival of Spring through May 31 with a variety of cocktails and confectionery creations bursting with seasonal fresh fruit including Chef Paco’s Signature Nieve de Naranja, which is house-made orange ice cream served in an organic orange with whipped cream and berries. MRKT Sea & Land at Aliante will host a Whiskey, Cigar and Dining Experience on April 30 at 6:30 p.m. A Torcedor wearing authentic Cuban attire will be rolling a variety of the finest cigar brands on an authentic cigar roller table. Tickets are $50. For reservations, call 702-692-7777. 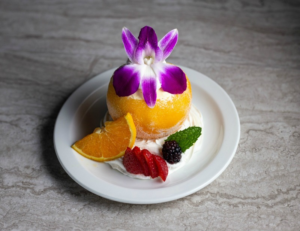 Instead of just on Easter Sunday, three restaurants at Aliante, MRKT, Bistro 57 and Farm are offering Easter specials Friday-Sunday, April 19-21, for $48, $42 and $12.99. Supermodel Christie Brinkley, who has been starring as Roxie Hart in “Chicago The Musical” at The Venetian, christened the all-new soon-to-open Smith & Wollensky inside Grand Canal Shoppes at The Venetian with her Bellissima Prosecco. This month, Backstreet Boys member Kevin Richardson attended the new show “OPIUM” at The Cosmopolitan and went backstage afterwards. Eden Sher, actress from ABC’s “The Middle,” dined at LAVO inside The Palazzo recently with a group of girls for a friend’s bachelorette party. They toasted with prosecco and sparkplug shots. After dinner, they visited the Marquee Nightclub. The following day, they had a cabana at Marquee Dayclub and at night enjoyed TAO Nightclub. They finished the weekend with brunch at LAVO. Kaitlyn Bristowe and Jason Tartick, who each appeared on different seasons of the ABC Bachelor/Bachelorette franchise, dined at TAO inside The Venetian with friends and challenged each other to eat spicy shishito peppers. 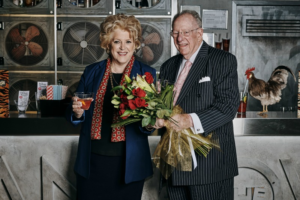 Las Vegas Mayor Carolyn Goodman and her husband, former Mayor Oscar Goodman were spotted at The Hangover Bar at Madame Tussauds sipping their signature cocktails. A cosmopolitan for Carolyn and a gin martini with whole jalapeno for Oscar. Mayor Goodman was showered with chocolates and flowers. The new Las Vegas Ballpark® was unveiled last week along with new mascots Spruce and Aviator for the new baseball team, the Las Vegas Aviators®. The mascots were created to illuminate the team’s new aviation theme. Spruce is named after the Spruce Goose, which was the nickname for Howard Hughes’ Herculean aircraft. Wet’n’Wild Las Vegas is holding family-friendly activities April 13-22 through spring break. On April 20-21, Sunny the Bunny will make special visits at noon. The water park is open now through Sunday, Sept. 29. The fifth annual Home + History Las Vegas will take place April 26-28 and include more than 20 events. The home tour is the signature event, which is a self-drive tour, with staggered times from noon-5:30 p.m. on April 28, and provides access inside and out of some interesting homes. Distill, a locals’ neighborhood bar chain with gaming and food, is debuting five new locations in the valley stretching from Summerlin to the Southwest and Henderson. Distill locations feature pool tables, sports games, a customizable juke box with access to thousands of songs, and RED Loyalty, a frequent dining loyalty program. Local Lucky’s Lounge tavern and restaurant at 7345 S. Jones Blvd. is introducing VR gaming competitions again on April 26 and 27 from 5 p.m. to midnight for seasoned gamers and VR newbies, which will coincide with the LVL UP EXPO technology and gaming convention in town, April 26-28. 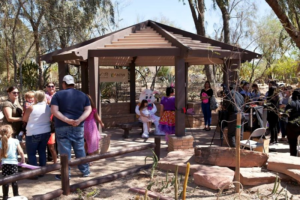 The Easter Bunny Adventure will be held at Lake Las Vegas aboard the La Contessa Yacht on Sunday, April 21 from 11 a.m.-2 p.m. Event is $25 and includes a 90-minute cruise, the Easter Bunny, games, prizes and an egg hunt. Downtown Container Park’s monthly Kids Camp series “Superhero Day!” will be held Saturday, April 20 from 11 a.m. to 1 p.m. with costumed characters on The Lawn. Each $10 ticket includes Hulk© smashing, games of agility, Captain America© shield toss, a heroic-sized obstacle course, and designing cupcakes. Purchase tickets on the Downtown Container Park’s website. The Opportunity Village Backyard BBQ fundraiser will be held on May 4 with a 5 p.m. cocktail reception and dinner and entertainment following at the Ralph & Betty Engelstad Campus on Buffalo Drive. Featured performer is Mitchell Tenpenny, an ACM New Artist of the Year nominee with the No. 1 single “Drunk Me.” Adult tickets are $300 and $75 for children 12 and under.